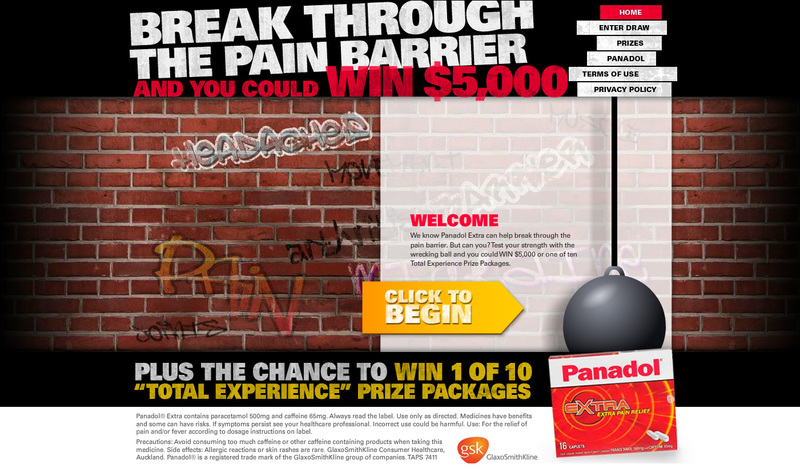 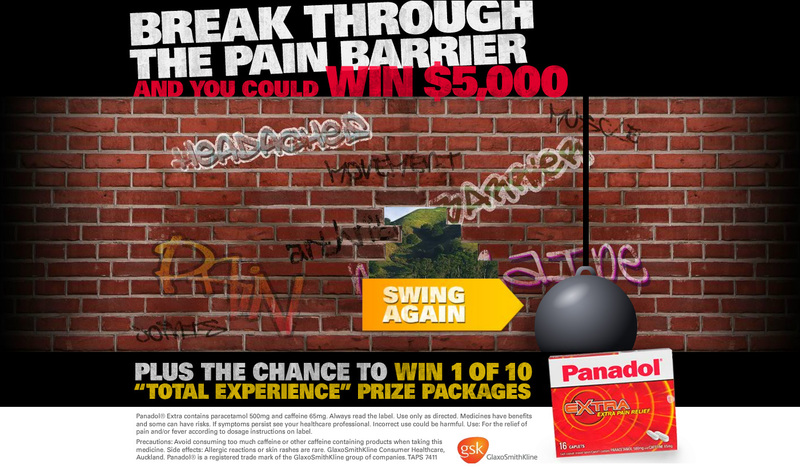 As part of a new campaign to launch Panadol’s latest range of pain relief, Panadol Extra, Ogilvy Digital built a microsite and series of flash banners for the ‘Break through the pain barrier’ concept. 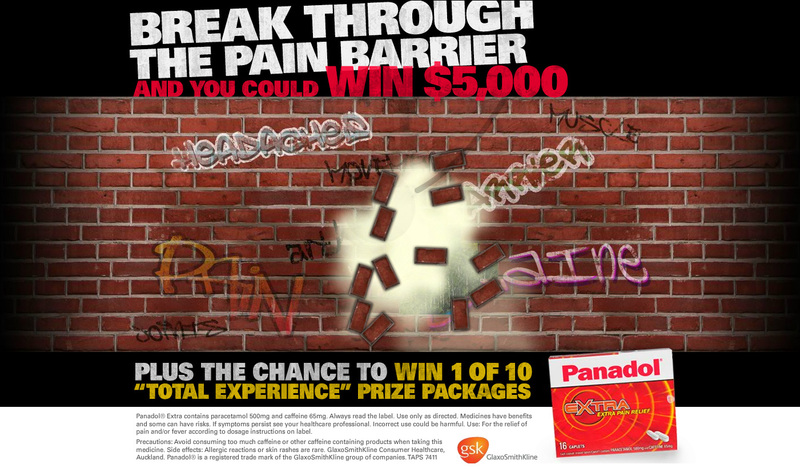 Role: Under the direction of a Creative Director I designed the microsite and flash banners in Photoshop. 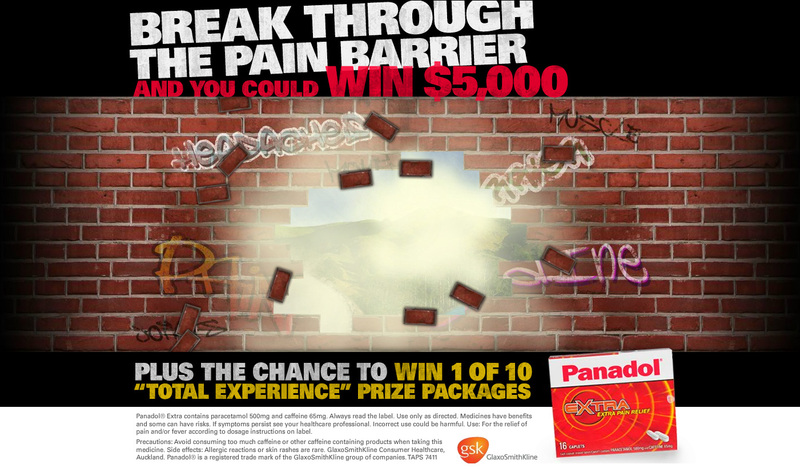 The concept was to demonstrate the products ability to relieve pain and the barrier it puts up. 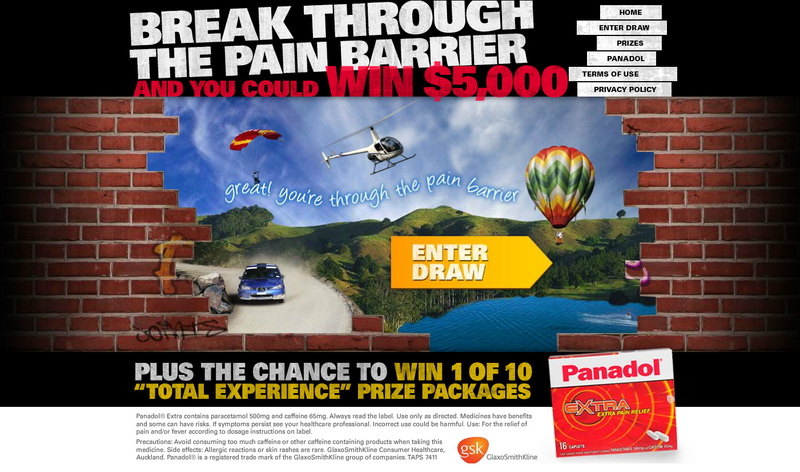 I also built the standard and rich-media banners.